We are already back from our trip to Costa Rica and want to share our itinerary and costs for 2,5 weeks in Costa Rica with children. As a summary: we drove 1500km, visited seven national parks and we lost the count on the number of animals we saw. 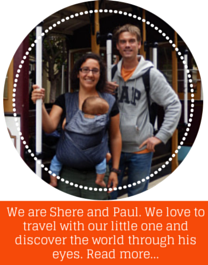 Starting with the costs, in total we have spent almost 4000€ for two adults and one toddler in 2,5 weeks. Maybe it sound like a lot of money, but Costa Rica isn’t a cheap country. We stayed in middle range hotels and eat mostly in sodas (cheaper than restaurants), but also we didn’t stop ourselves for having a drink every day and do whatever activity we wanted. I think food, in general, wasn’t as cheap as you would expect from a Central America country. Just to get a feeling, a 330ml can of beer cost 500 colones (almost 1$) in the supermarket, bread costs 500 colones too and also water was 2500 colones for 6 liters. As a tourist you pay more for the entry to National Parks and attractions, in general the entry costs around 15$. What really annoyed me was the exit tax you need to pay at the airport: 29$ per passport (babies also pay that much). Well, you can see here an overview of our costs. Day 1 – Flight from Amsterdam to Madrid. Initially we have a evening flight, bt it was changed to the midday one. So no complaint from my side! I prefer to fly at middday with our little one, so we don’t need to rush to wake up early and. If we had chosen to fly to San José the same day, we would have taken the first flight of the day, the one at 7 am, what would mean to leave home at 4am! Day 2 – Flight from Madrid to San José de Costa Rica. Again a flight at midday, if you are also flying from Madrid go to the airport at least three hours prior to your departure. We arrived two and a half hours in advance and at the end we had to hurry up. In fact, we were in the gate just twenty minutes before the scheduled departure, we boarded with the last passengers. We were so late because the check in took us a lot of time, we didn’t have to wait at the security control because we went thought the one that is only for people travelling with children. Afterwards we took the train to the other terminal (all intercontinental flights leave from this terminal), then the passport control, which really took ages and finally getting to the gate at the end of the terminal. We arrived in the evening in San José and at the airport an employee of Vamos rent a car was waiting for us. He drove us to their office, where our 4WD cars were waiting for us. We will be writing a review of Vamos soon. Day 3 – Our first night was short, even though we went to sleep around 19-20, everyone was awake around 3 or 4. Our plan for the day was to visit Volcan Poás and he drove there, but because of the mist we didn’t enter the National Park. It was quite frustrating, we felt it took us ages to get there: 3 hours for around 80 kilometers. In Costa Rica and specially around San José don’t expect to drive faster than that. On our way back we stopped in rescate animal zoo ave, which is a great park for the little ones as it has a lot of animals and many of them move freely. 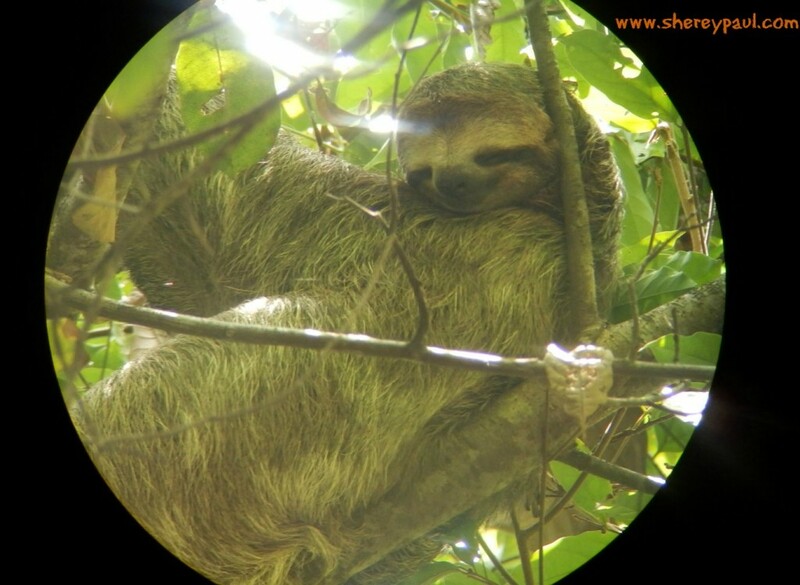 We saw our first sloth here. We went back to hotel Luisiana in Santa Ana, which we booked via hoteles.com for 37,5€ for the deluxe room with two double beds and 31€ for the standard room (prices in their website are around 69$ and 59$). For those price the hotel was fine, it has AC, swimming pool and a playground for children. The negative point is that the breakfast was very expensive: 10$ per person. If you are staying here, you can head to taco bar, which offers a great breakfast for 3$. Day 4, 5 – On the forth day we drove to Monteverde. 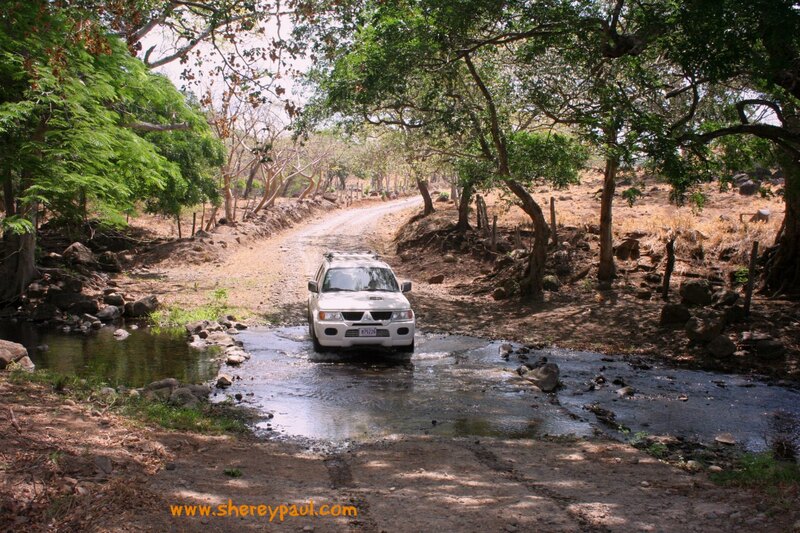 Everyone knows that the road to Monteverde is the hell and that was the reasons to rent a 4×4 instead of a normal car. The road isn’t asphalted and is very bumpy and dusty. We stayed at Monteverde Country Lodge and loved the place. They had a playground for children and picnic tables and also offered the possibility of using the heated pool and jacuzzi at its sister property Hotel Poco a Poco free of charge. 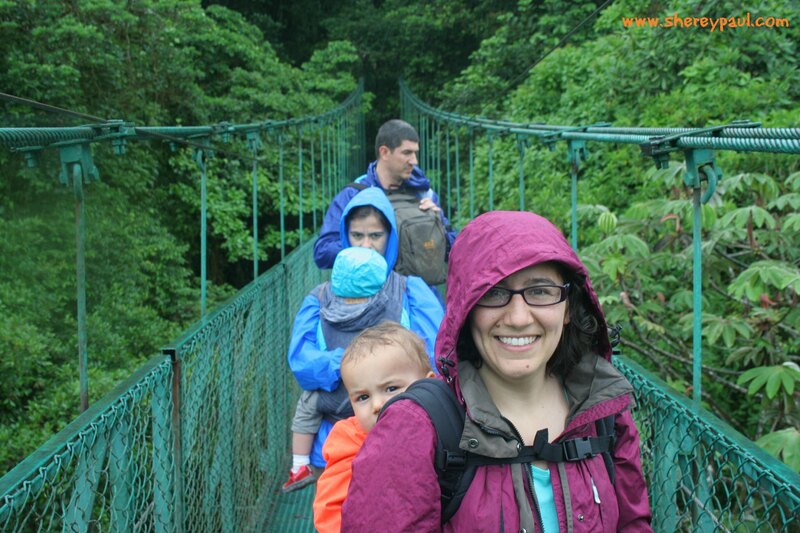 We visited the ranario, walked the hanging bridges and took the canopy tour. 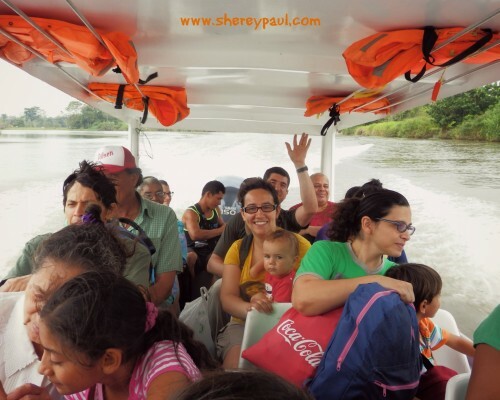 Day 6, 7 – We drove around the Arenal lake to get to La Fortuna. There we visited las cataratas de la fortuna and relaxed for a day in Baldi hot springs (I will write a post soon about it and tell you how to buy a day ticket with lunch for 35$). We bought our accomodation via a secret deal of hotwire and it didn’t turn as such great deal. We stayed at Arenal Rossi for the secret rate of 37€/night, hotwire was advertising this hotel would cots 110€/night, but when I looked in the internet I couldn’t find a single web where the rate would be higher than 40€. Anyway the rooms were really clean and had AC. They also had two small swimming pools. The downside of the hotel was that it was just next to the road (trucks made a lot of noise when passing by) and without anything to stop the children from running into the street. Day 8 – It was time to keep getting in shape after the 500 steps of las cataratas de la fortuna, so we did the hike to rio celeste in volcán Tenorio. It was incredibly beautiful!! We stayed in Posada Rural Río Celeste, nice and well maintained houses in a big property for 7500 colones (13€) per person. We had a house with two beds and bathroom, while our friends had three beds, bathroom and a little kitchen. They also offer breakfast. Day 9 – It was our “joker day” and we used it to visit the thermal area of Volcán Miravalles. To get there, we took an off road shortcut and I think this was the drive the big boys enjoyed the most. After getting covered in volcanic mud and soaking in the hot pools, we drove to a waterfalls and then to Cañas (nothing special there, but we wanted to stay somewhere on the way to Manuel Antonio). Day 10, 11 – After so much volcanos, it was time for the beach. Nothing better than Manuel Antonio. Here we asked in three places about prices and all three offered us the low season price as the weekend tourists were already gone. 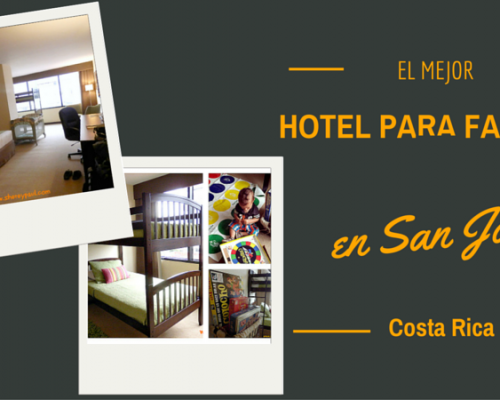 We choose La posada as it was just next to the entrance of the Manuel Antonio National Park. 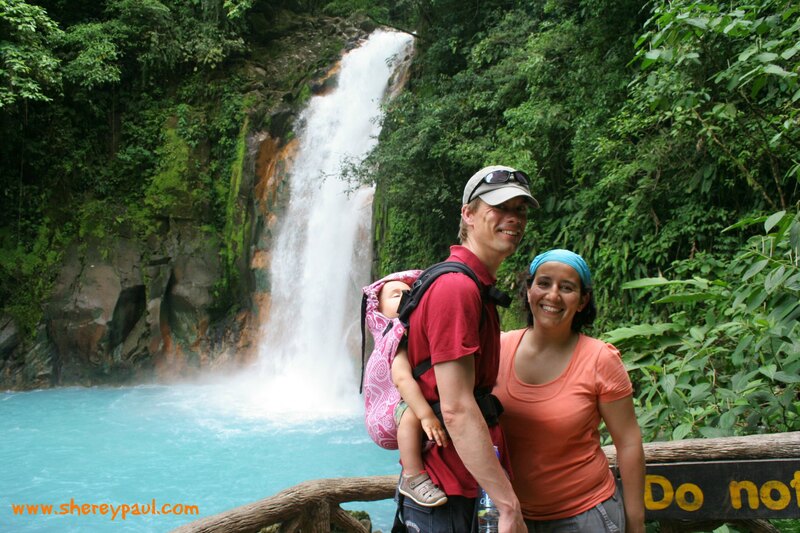 Day 12 – We took a different route than on the way to Manuel Antonio to get to the other side of the country. We drove to Turrialba via San Lorenzo and Cartago. The scenery was really hilly and stunning. In Turrialba we stayed at Casa de Lys, a spotless hostel, owned by a dutch woman, with comfy beds and a great communal kitchen for 30€/night. 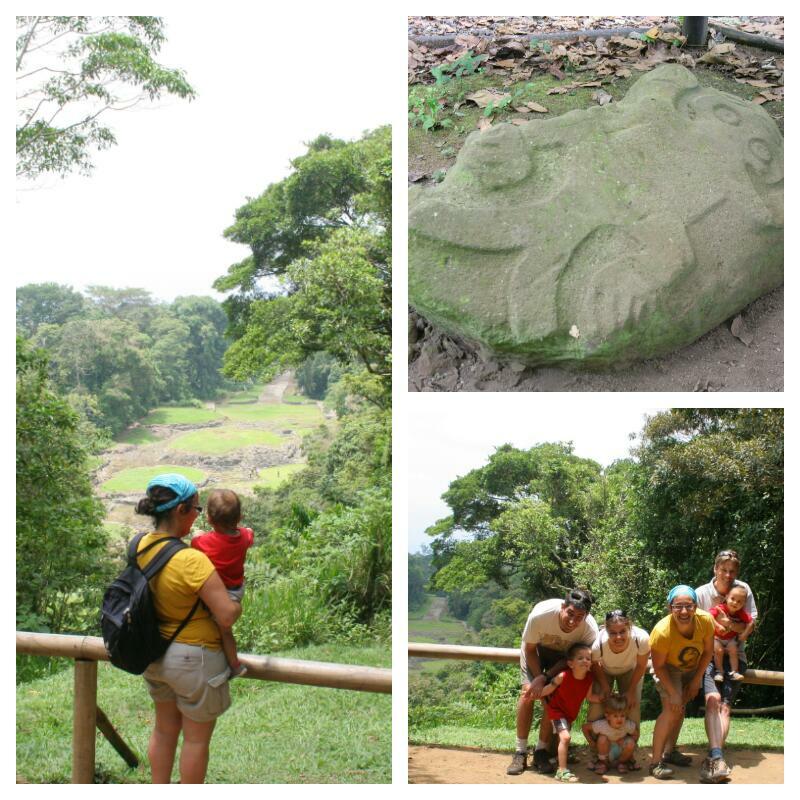 Day 13 – We visited the monumento guayabo, before continuing our trip to the Caribean coast. In the afternoon we arrived To Cahuita and founding an accommodation was a bit of a challenge. 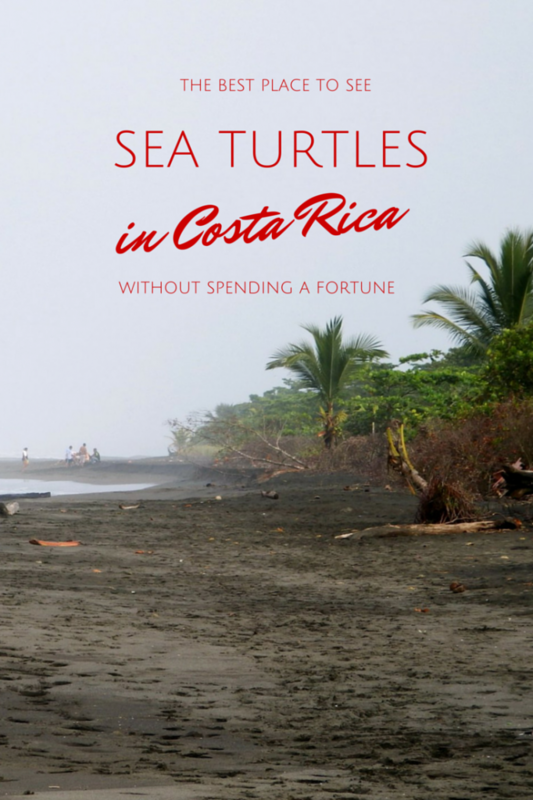 Day 14 – We changed our plans and head to Parismina, you can read all the details in the post the best place to see sea turtles in Costa Rica. 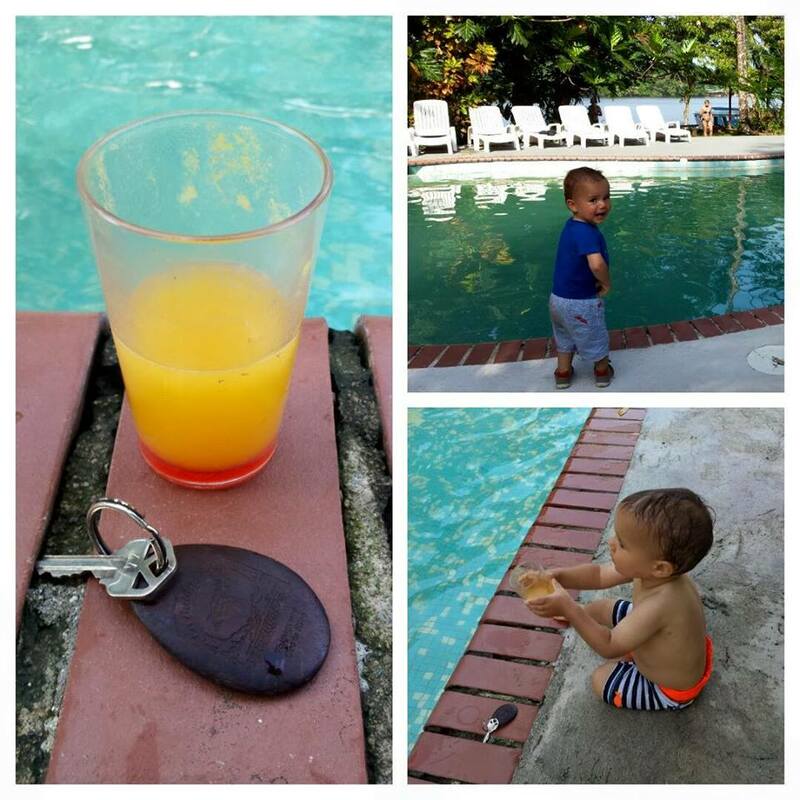 Day 15, 16 – Even though it wasn’t season, we went to Tortuguero and relax in la baula lodge, a very child friendly lodge with swimming pool (the first thing the little one spot), outside restaurant and happy hour. 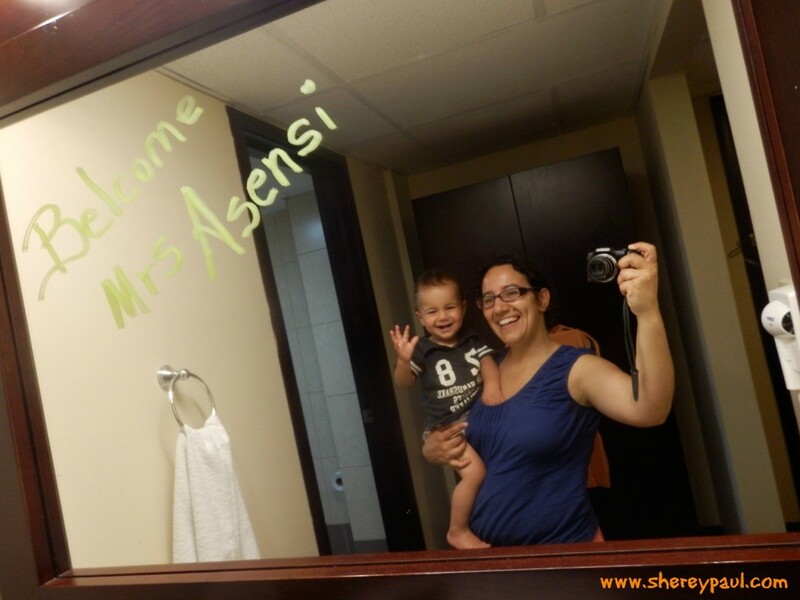 Day 17 – We spent our last night in Costa Rica in Tryp San José Sabana hotel, in one of their family suites which includes two double beds, a bunk bed and games to entertain the little ones. Day 18 – We visited San Jose and in the evening we took the flight back to Madrid. We had a great trip and I’m still sorting our pictures in order to write some posts with some of our experiences. 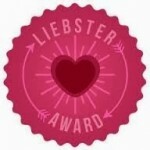 So come back and check our blog. 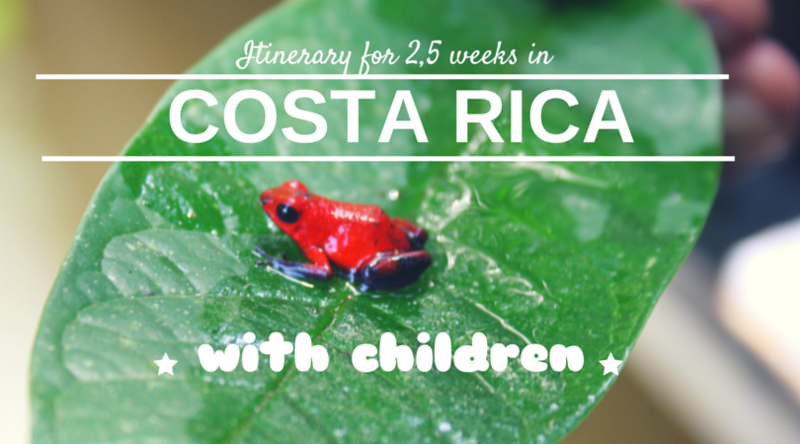 What do you think of our itinerary and costs for 2,5 weeks in Costa Rica with children? Have you done a similar trip? 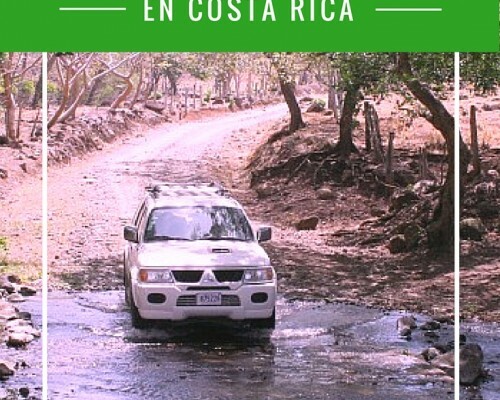 Check also these hidden treasures in Costa Rica for more travel inspiration. Wow you guys did so much!! 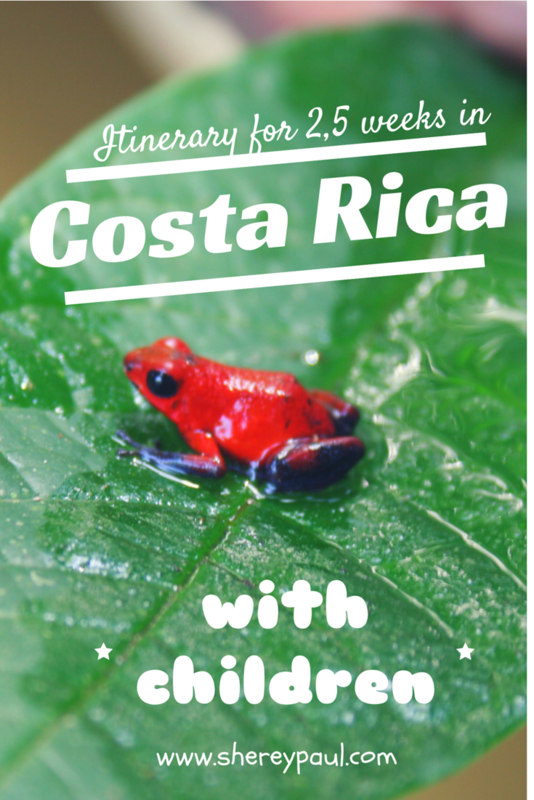 We have been trying to plan a trip to Costa Rica for a while now, but there is SO much to do that I just can’t seem to fit it in. Thanks for the breakdown on costs too. Good to know it’s not such a cheap holiday, but it’s definitely cheaper than hawaii which is where we just went instead of costa rica! I love these day by day journey break down posts. there are very helpful in planning future trips; and cost info is an added bonus. thank you! Thanks Victoria!! I like to keep the details for later, so if someone asks, i can tell. I was surprised how expensive Costa Rica is. I always thought it’s one of those inexpensive tropical destinations. Maybe it’a little cheaper from the USA. At any rate, I’m sure it’s a very rewarding place to visit. 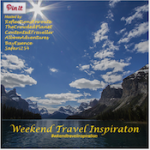 Thank you for link-up to The Weekly Postcard this week. Nevertheless we have a great holiday and enjoy every moment. It was worth it! I had no idea you had to pay for the exit tax! Yikes. It looked like you had a great time, though. Love the photo of the baby asleep in the carrier, as you were admiring the waterfalls! I knew about the exit tax before going, but still it hurts when you have to pay 89$ at the airport. 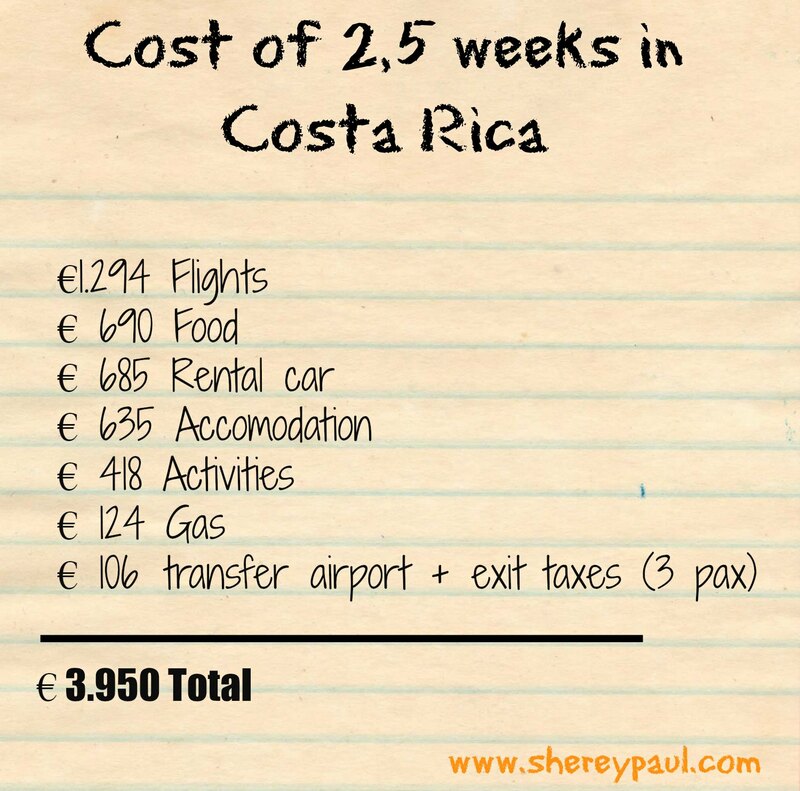 Great cost break down for Costa Rica. Actually, the €4000 including flights didn’t sound too high to me. Sounds like a fantastic holiday and a perfect itinerary. We also only book for the first and last few nights. 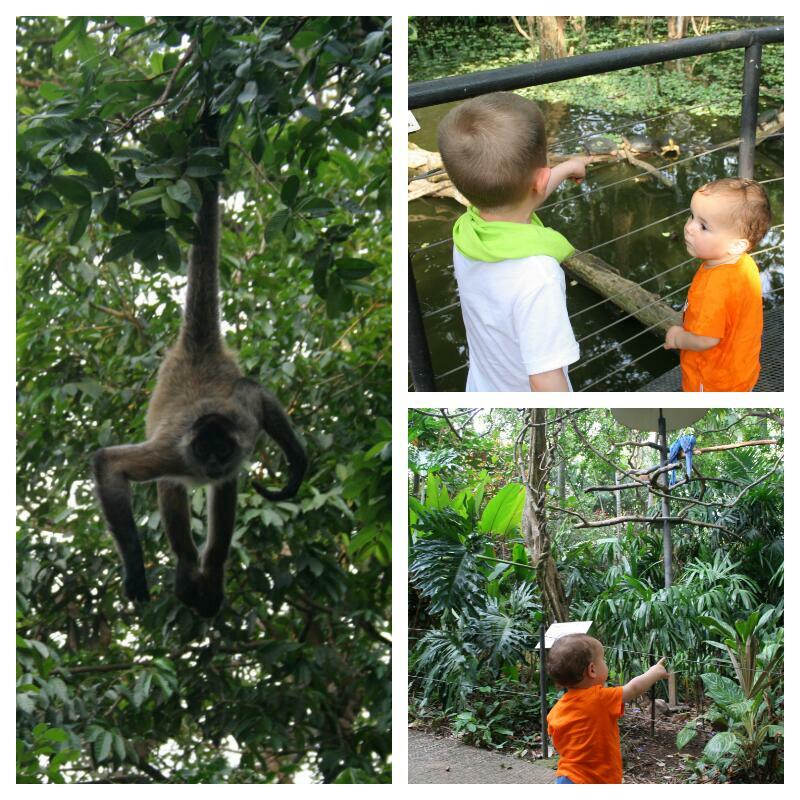 The photos are great, especially the monkeys. Thanks for sharing all the details. BTW- New Zealand has an exit tax also, but it’s added into the airfare. We had quite a good deal on flights. It also make a difference that Liam only pays the taxes. next year we have to count with one extra ticket. 4000 seems like a good price considering that includes airfare! 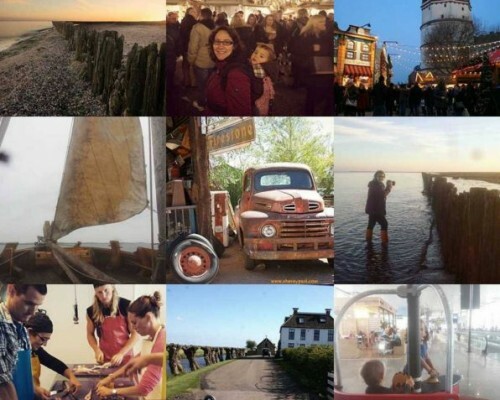 I did this trip with my mom and it was one of our favorite mother/daughter trips!